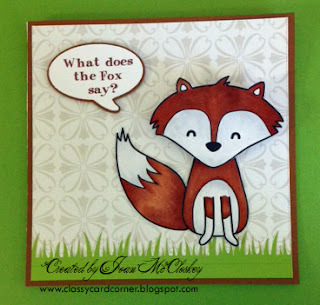 Joanie's Classy Card Corner: What Does the Fox Say? But anyway, our generous sponsor, Deasy Designs, gave us a choice of some images to use in this Sunshine Mail Challenge and there was the fox and there came my inspiration... that song was still wondering around in my head.. lol So here is my card and I hope you get a chuckle too!! So you need to visit our sponsor and check out all the cute images. 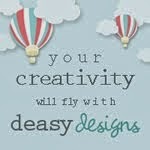 So join in the challenge and maybe you'll be our next winner!! Let's join together and all send a card to Sunshine Mail and make a child smile. We are really in need of some cards, so please take a moment to send one. Thanks!